This was the first Creative Partnership project that I worked on. 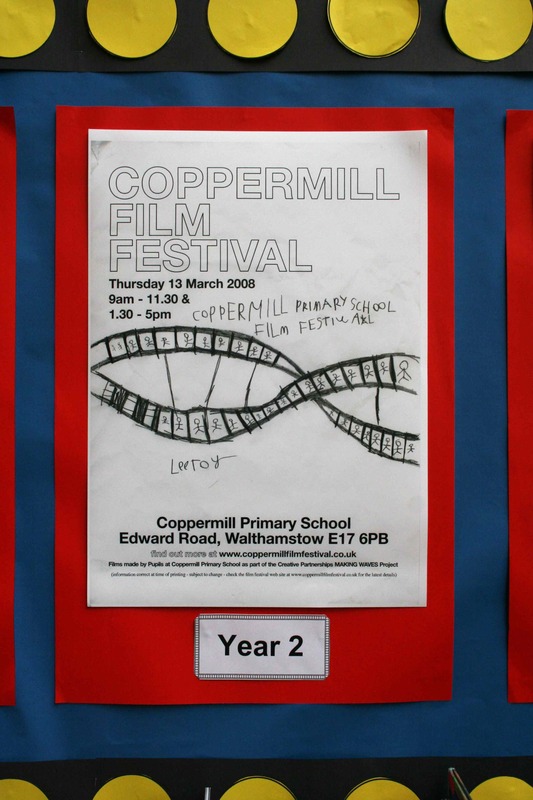 How can creativity be used to get more parental and community involvement in Coppermill School? So sitting in a meeting with the schools management team I hatched what I thought would bring something completely unique to the school and get everyone excited – I felt that what was needed was some sort of grand gesture. 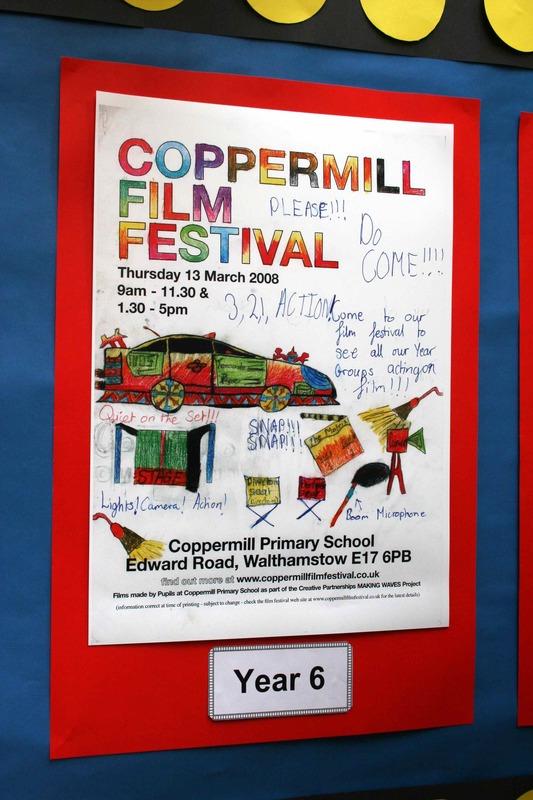 My idea was that we would create the Coppermill Film Festival. Every child in every class would be involved in making the films that would be shown to parents that wanted to come and watch on a film day. Everyone in the meeting’s eyes lit up. From that point on until the end of term I worked with the school to make this a reality. We made nursery rhyme films, adapted favourite books, made a documentary with playmobil characters and a puppet film as well as an an animated alphabet. As the day of the film showing approached everyone got involved in making popcorn containers, film posters and tickets. A particular favourite of mine were the posters created by the children from a poster blank that I designed. Intact I think the poster below with a DNA strand, mixed with a piece of film showing all the individual frames is one of my favourite film festival posters ever. The cinema day was a great success and lots of parents found half an hour during the day to come and see the films. At the end of term one of the parents who ran a DVD duplication service made DVDs for each child to take home. One of the films made – a short documentary about the development of a village over time.